It was raining heavily. Our idea of photographing butterflies at the Sammilan Shetty Butterfly Park which opened that day was not going to be fulfilled. 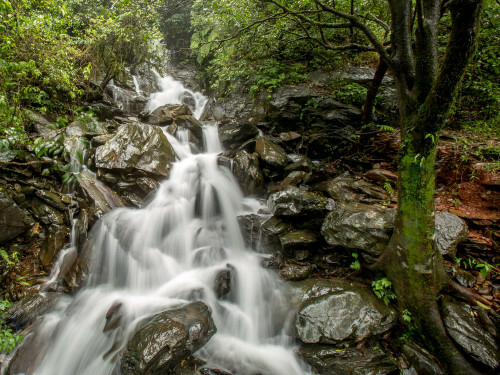 So four of us me, Ajith Kamath, Karthik Bhat & Shiva Shankar planned to go to Kudremukh National Park. A friend of mine had informed us that the purple flowers of Neelakurinji (Strobilanthes Kunthiana) have started appearing in the meadows there. The Nilgiri Hills, which literally means the blue mountains, got their name from the purplish blue flowers of Neelakurinji that blossoms gregariously only once in 12 years. The Paliyan tribal people apparently used it to calculate their age. Unfortunately rain never left us. 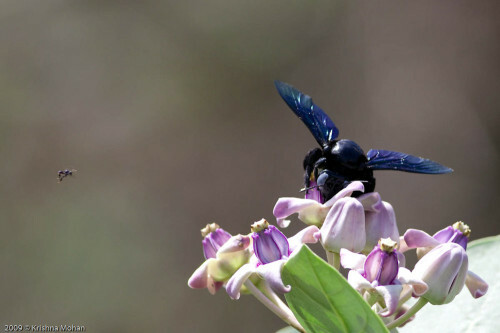 We also failed to see any Strobilanthes bloom anywhere on the grasslands of Kudremukh National Park. 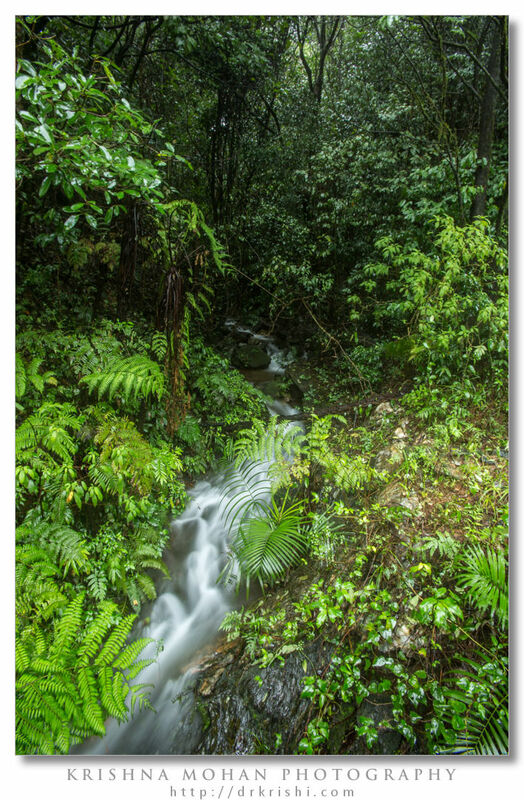 AS a last resort I decided to take photos of roadside streams which during peak rainy season creates small yet beautiful waterfalls. 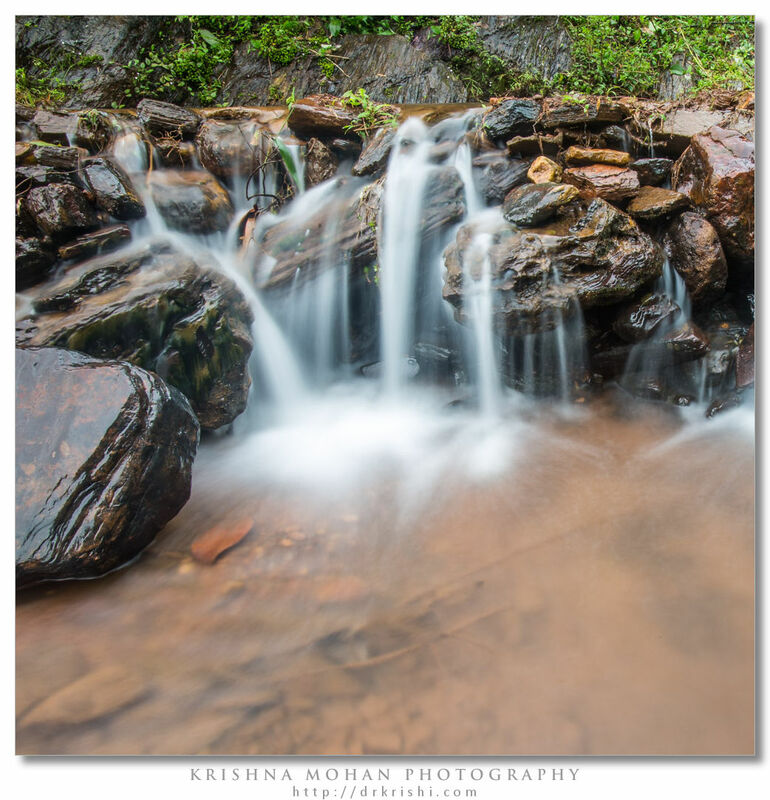 I use Manual or Shutter Speed Priority Mode for waterfall photography. All the photos here were shot in Manual mode. In Shutter Speed Priority Mode you select your desired shutter speed and the camera chooses an appropriate aperture & ISO. However, often a Neutral Density filter is required to utilize full advantage of this mode if the sky is not gloomy. 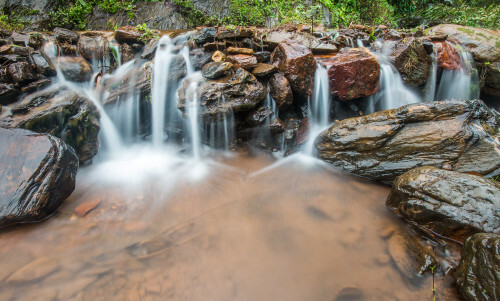 Shutter speed is most important setting in waterfall photography. 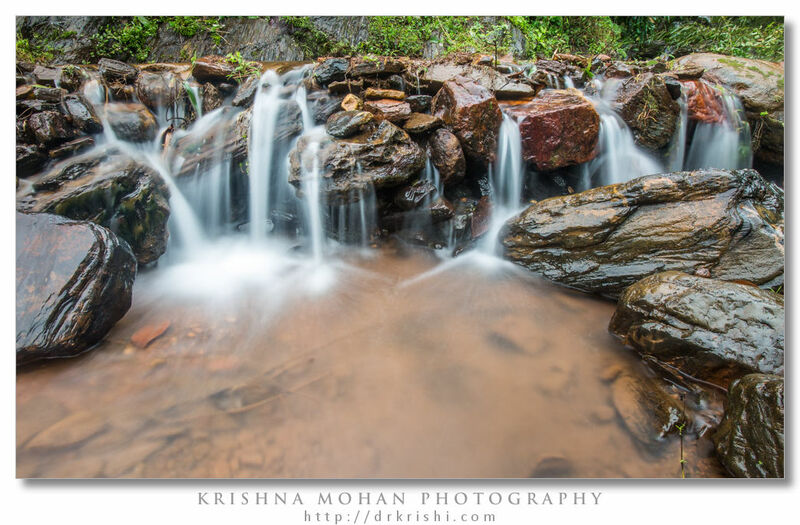 When capturing a silky smooth effect, you will need to allow a lot of water to flow through while the exposure is being made. But there are some rules to the amount of water that you should allow to flow by and how that can affect the final composition. 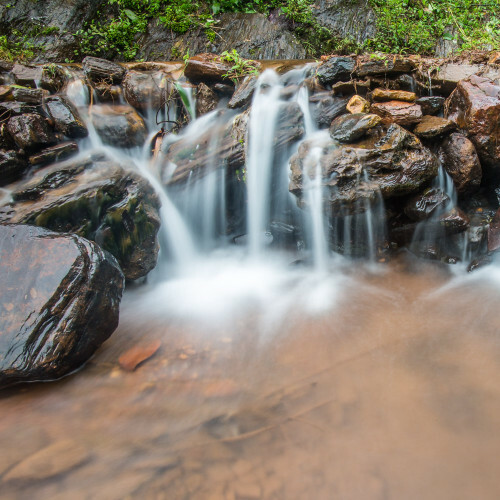 If the water is flowing very slowly then it is imperative to reduce the shutter speed to something like 1 and 1/2 seconds or even 2 or 4 seconds, again if the water is flowing too fast, try increasing the shutter speed to something such as 1/2 a second. So anything between 1/2 to 4 second is good timing. It is always best to take a few test shots at different shutter speed and see how the pictures are coming through and then adjust the final settings accordingly. Most of the pictures here are shot with 4 second shutter speed. The last two are shot with 1 second speed as the flow was faster. Next is the aperture. Try with f/11 or f/16 and take a few test shots. If light is too bright with f/16, try using ND filter. F/22 in most modern cameras causes diffraction and softening of your image which I found later. I made a mistake here taking almost all of them in f/22. If I had used f/16 as the aperture, it would have been sharper than this present picture. ISO always at lowest ISO possible ISO of 100. 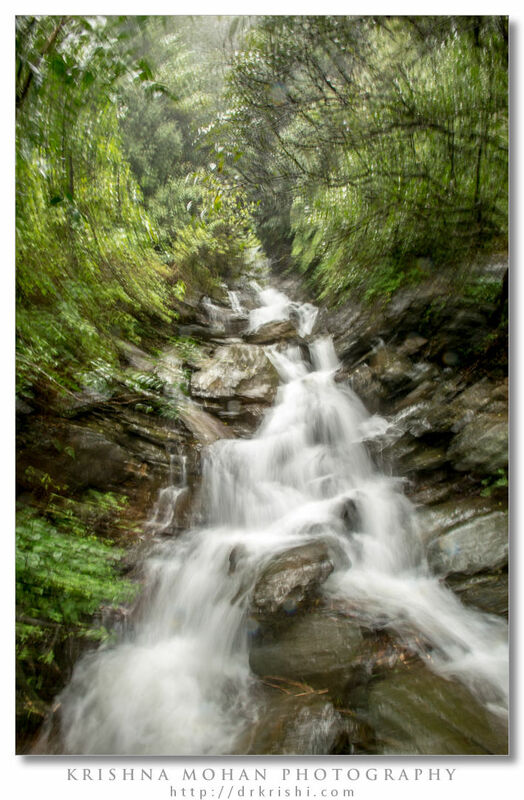 Waterfall photography is a long exposure photography. So a tripod is an integral tool to have in order to use slower shutter speeds. Choose a sturdy tripod. A remote shutter release and mirror locking techniques (or using Live view) is necessary. 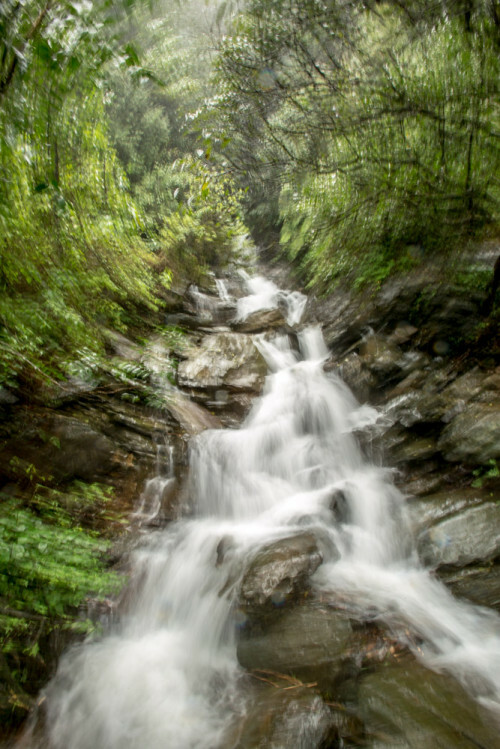 You can also try to be creative when shooting waterfalls. Here I rotated the camera while it was shooting long exposure shot. I had kept the camera on the bridge railing (without using tripod as it was raining heavily) and was holding it steady from the previous shot. For the above shot when the camera was taking the I second exposure I rotated the camera in its axis, which gave this spinning effect. EXIF info - Aperture : ƒ/22 | Camera : Canon EOS 5D Mark III | Taken : 18 August, 2013 | Exposure bias : +1/3EV | Flash fired : no | Focal length : 19mm | ISO : 100 | Location : 13° 12.8527′ 0″ N 75° 14.3097′ 0″ E | Shutter speed : 4s | Images and content Copyright © Krishna Mohan. Please contact me to purchase prints or for image publication license. Wish Rain God had allowed us to click more. 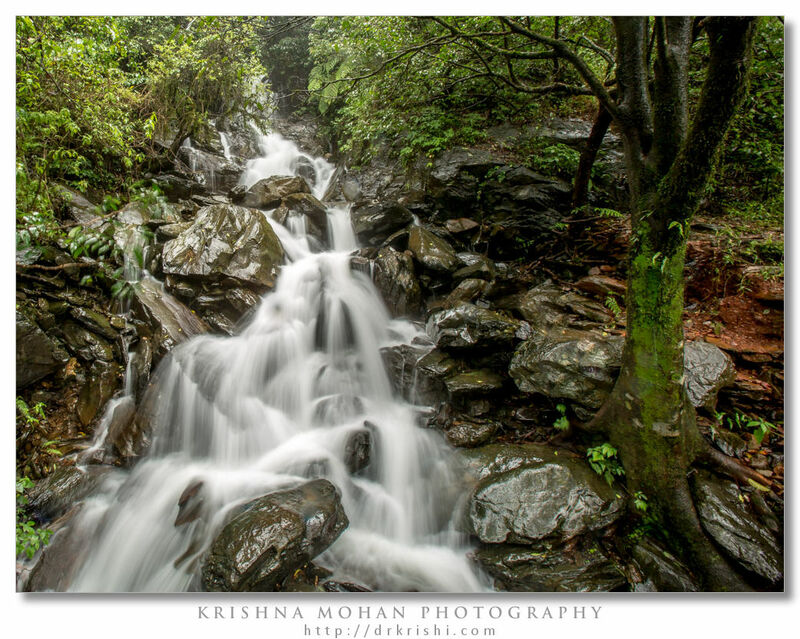 Useful Hints on Shooting Waterfalls Dr. Krishi. ನೀರೆಲ್ಲಾ ಹೀಗೆ ಹಿಂಜಿದ ಅರಳೆಯಂತಿದ್ದರೆ ಕಲರವ ಕಳೆದಂತಲ್ಲವೇ ಶಿವಾ! ಕಣ್ಣಿಗೆ ಕಾಣುವಂತೆ ವಿಭಿನ್ನ ಧಾರೆಗಳು ಸ್ಪಷ್ಟವಾಗುವಂತೆ ಒಂದೂ ಚಿತ್ರ ನಿಮಗೆ ಬೇಡವೆನ್ನಿಸಿದ್ದಕ್ಕಂತೂ ಶಿವ ಶಿವಾ!! 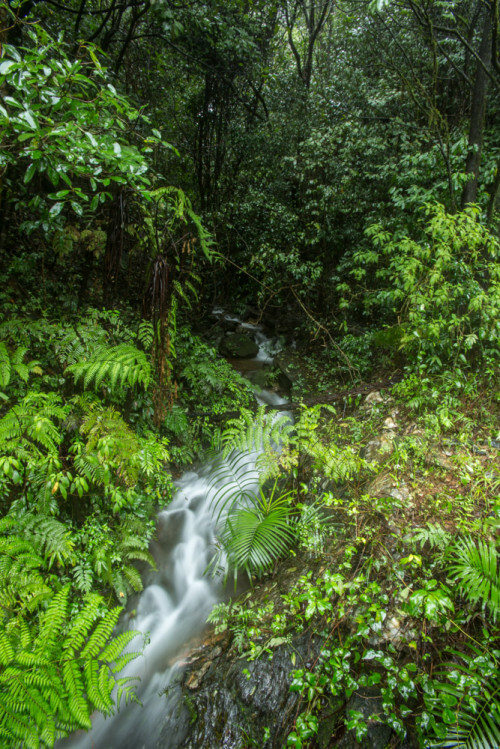 I love taking pictures of waterfalls, these are some wonderful tips!